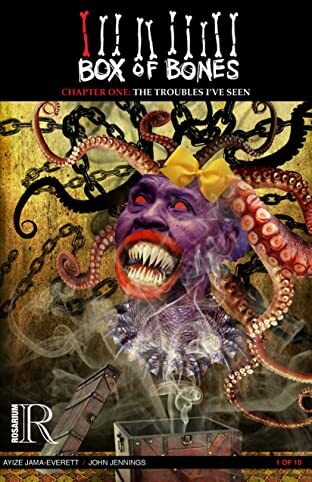 When Black graduate student, Lyndsey, begins her dissertation work on a mysterious box that pops up during the most violent and troubled time in Africana history, she has no idea that her research will lead her on a phantasmagorical journey from West Philadelphia riots to Haitian slave uprisings. Wherever Lyndsey finds someone who has seen the Box, chaos ensues. Soon, even her own sanity falls into question. In the end, Lyndsey will have to decide if she really wants to see what’s inside the Box of Bones. 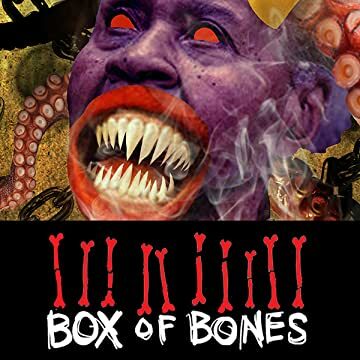 Described as “Tales from the Crypt Meets Black History,” Box of Bones is a supernatural nightmare tour through some of the most violent and horrific episodes in the African Diaspora. 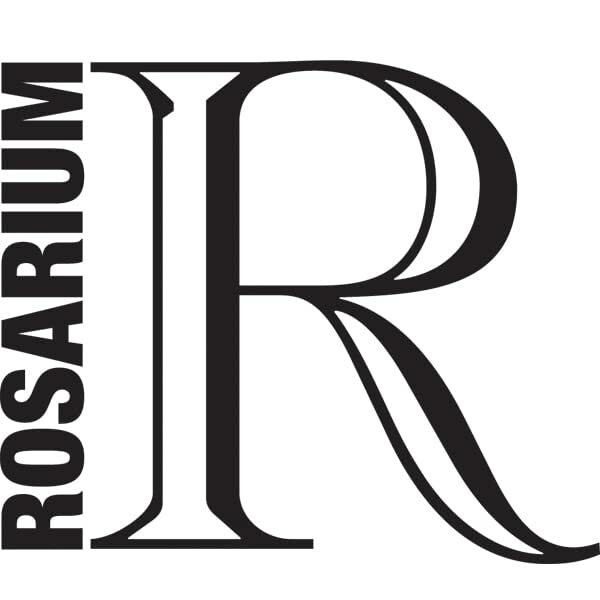 Jama-Everett and Jennings have assembled a talented group of artists for this ten-issue project, including cover artist, Stacey Robinson (I Am Alfonso Jones), David Brame (MediSIN), Avy Jetter (APB: Artists against Police Brutality), and Tim Fielder (Matty’s Rocket).